Even after college football season in the United States, this question rages on. In the rest of the world it means nothing, but the underlying thirst for respect, recognition and prestige absolutely matters for parents with kids about to submit university applications and for those still building careers. 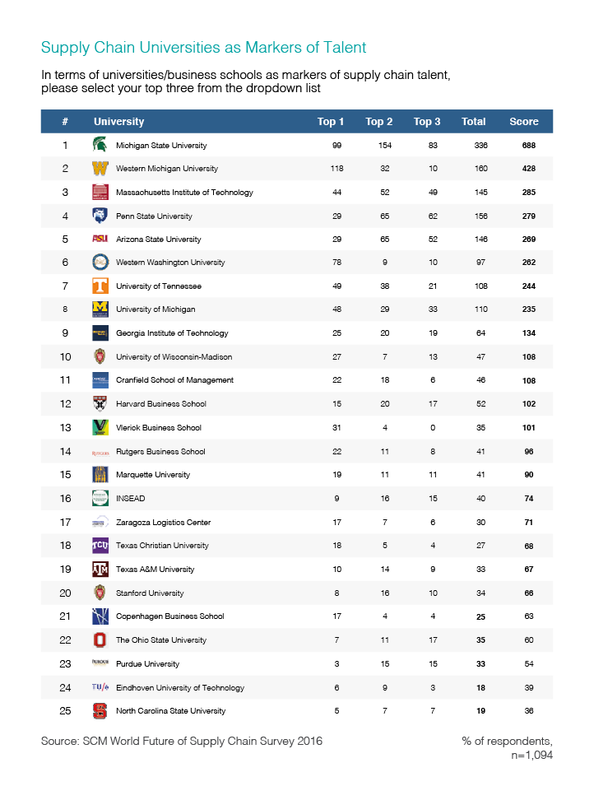 Google the question “what is the top supply chain university?” and four rankings appear on the first page: Gartner, US News, Eduniversal and SCM World. The methodologies vary, so naturally, the lists are different, but all include at least some element of reputation as a driver of rank order. Unfortunately, reputation acts as a sort of ranking flywheel reinforcing conventional wisdom and potentially distorting the truth. Supply chain is a field science, moving so fast in response to forces of digitization, globalization and financial innovation that classical university standards of excellence can’t keep up. What’s needed, according to supply chain executives surveyed about the ideal skill mix in 2020 and beyond, is some combination of communication, strategic thinking, and change management.